Forging Shop provides the basic melee weapon upgrade and slightly increases the profit from the trade. Local resource of iron or tin provides the material to work. 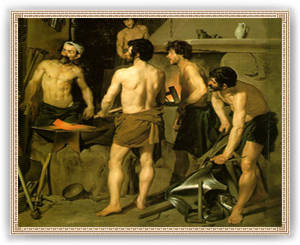 The basic smithy contains a forge, also known as a hearth, for heating metals. The forge heats the workpiece to a malleable mold. Simple but durable weapon could be than cast out of it. Local resource of iron or tin provides the material to work.